Late last year I accidentally ended up with a new cyclocross bike; something I’ve had before in a couple of different forms but have been missing for a while. It’s ideal for mixing bridleways with rural backroads, and when I use it for the ride to work it’s a good way of dodging several parts of my normal route where drivers pose particular risk. But it’s interesting that I need a specific bike to do this. Here are a couple of photos taken on my commute this morning. This is fine, you might say. After all, I set out to mix up bridleways and backroads. And in my specific case, that’d be a broadly fair point. But these aren’t bridleways as such. These are sections of our National Cycle Network. There are three basic ways in which people can react to virtually impassable cycleways. The first reaction is that of a tiny minority, of which I am intermittently one, and that is to use the path anyway (at least on an occasional basis). To do this, you’ll need a hardy bike, hardy legs and a hardy attitude. And decent shower facilities at work. Not many people have all these, let alone want to exercise them on a frequent basis, and nor should they be required to. The second reaction is that of a larger (but still small) minority, of which I am more frequently one, and that is to ride on the road instead. If you’re reading this as a seasoned bicycle rider then this might not seem like a big deal, but the simple fact is that it exposes people to the dangers of motorised traffic. There is perhaps no clearer example of this than that of Robert Don, who—being unable to use the cycle path along the A9 due to it being flooded—took to the main road and was hit from behind by a bus driver. He died from his injuries. The third reaction is of course the most common by far, and that is not to use a bicycle at all. The farcical state of the National Cycle Network is a notable contributor to the general public’s perception of cycling as being either a matter of taking to the road and pretending to be in the Tour de France; or one of having a very British “character building” day out, dragging one’s children (complete with decorative helmets dangling off the backs of their heads) through a few miles of filth before trying to laugh about it, quoting Nietszche, and then letting the bikes go rusty in the shed. The third reaction not only has the effect of increasing pollution, congestion, and so on, but also adds to the danger faced by those who choose the second reaction, and therefore increases the likelihood that they too will choose the third instead. There is a vicious circle at work here. Of course, it doesn’t have to be this way. Let’s take a look at a rural cycleway in—yes, you’ve guessed it—the Netherlands. Now, of course, not all UK cycleways are submerged, six inches deep in thick mud, cratered or otherwise totally impractical for utility cycling. But a lot of rural ones are, even in summer; and more than a few urban ones are, too. But the Netherlands shows (again) that with political will it’s perfectly possible to provide practical year-round utility routes. I expect not all rural cycleways in the Netherlands are perfect, but if you do a Google Images search for “fietspad” things don’t exactly look bad. It’s a subject that Cycling Embassy chair Mark Treasure has covered in detail on more than one occasion, and I’d thoroughly recommend reading “Natural character” and “The role for surfacing in rural areas”. When is a network not a network? The National Cycle Network has a grand name, but for the most part is of little consequence or practical use. It’s more notional than national; more not-work than network. It’s important to consider the three reactions above. A network such as the UK’s—predominantly made up of ordinary roads, unsurfaced off-road routes, terrible paint treatments and outright nonsense—serves to do one thing: to keep people off pedal cycles of all sorts, and in cars. And to actively support a network in that form is to support that result; it is to make that result a goal. It's high time we stopped pretending we've got a National Cycle Network and started admitting that what we've got is Some Blue Signs. I should probably add a postscript to this. I know that much of Sustrans’ work is done by people, many of whom are volunteers, who put in a great deal of effort, and this column is in no way intended to diminish that. But all that effort is applied within a system that is fundamentally broken. For the provision of active transport infrastructure to be a charitable exercise is either crazy or corrupt, given that it has been shown time and time again that it pays dividends not only in terms of people’s health and welfare but also in terms of cold, hard cash. The dismal state of much the NCN is not a reflection on those who give their time freely to maintain it; it is a reflection on much wider and larger issues, and on those whose remits those issues fall within. You are being too kind to Sustrans. Of course they do some good work, but too often they put in substandard facilities and accept shoddy maintenance. Bad infrastructure is worse than no infrastructure at all. But because some of Sustrans’ funding comes from government, they too often end up saying yes to government when they should be saying no. 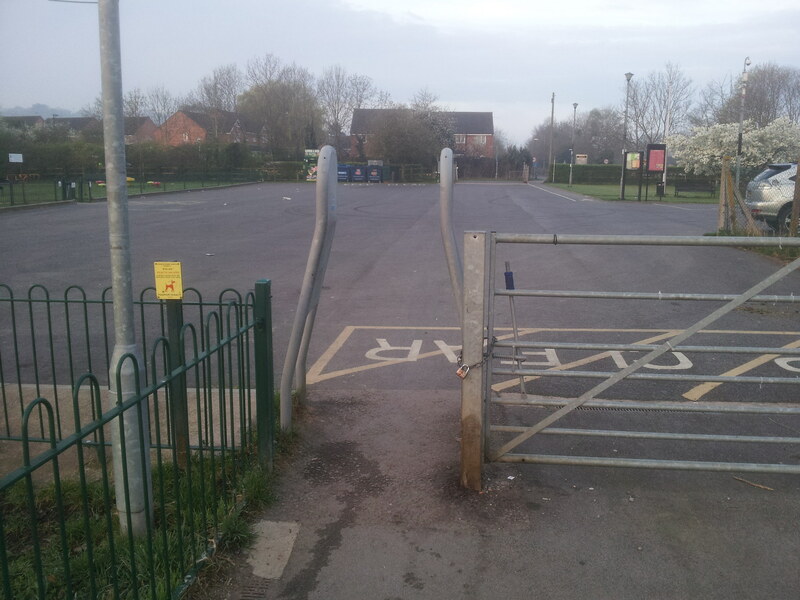 Round here, in Oxfordshire, the county council knows that if they ask Sustrans about facilities, they will get a positive answer even when all the other cycle campaigners say no, and hence the council can claim it has cyclists on its side. As you point out, in the Netherlands, cycle facilities aren’t left to a charity. Yes, the whole system and Sustrans’ role in it is ridiculous unless you view it through the prism of an intention to keep people off bicycles. The parts through which the money flows seem to do very well at ensuring that poor infrastructure gets built. I have some sympathy with people who put time and effort into building this stuff for no reward, though. And while I would probably prefer that everyone put the same effort into campaigning for properly funded and properly built infrastructure for utility cycling, I don’t have an issue with also having trails for leisure use. But to call the result a National Cycle Network is either delusional or deceitful. Local government seize on Sustrans approval, even when all representative cycling groups are opposed, which is another problem. Sustrans never overtly claim to represent cyclists, but they never deny it when people and authorities assume they are, with the result that the democratic, representative grpoups are ignored. I stopped paying my sub to Sustrans a couple of years ago for all the reasons given in this post and the comments. In particular the discriminatory nature of the NCN which effectively excludes less able people and those with special purpose bikes +often because of disability) and child trailers. The crazy rush to add miles to the NCN for the Millennium, with no regard for quality or sustainability, was foolish and let the government off the hook. A smaller but well set up and maintained network would have been an abiding exemplar and driver for demand on the government to add to it. they really botched NCN41… some money spent doing it right would have resulted in a nice safe popular route between Gloucester and Cheltenham… instead, we get nasty uneven shared paths, a narrow painted cycle lane on a 50 mph road (was 60 when they first painted it) and a bad stretch with ‘natural’ dressing that is a real pain in the wet or for a few days afterwards all combined with gates and chicanes to discriminate against the less able and those with non-standard bicycles. Sadly, what you describe as ‘botched’ appears simply to be Sustrans normal. A mix of badly surfaced, indirect paths, an apparent attempt to keep local fencers in business, and blue signs stuck by the side of dangerously fast roads. That the NCN is a disaster goes beyond saying – both the state it is in and the processes which have led to it being in that state are not acceptable. But there are circumstances in which the regular roads network, for me, would also be infinitely preferable to using the “good” infra illustrated in the last image. If I cycle four miles to a train station at ten p.m. on a February night only to realize that I have just missed the last train home and have a thirty-five mile cycle over rolling hills ahead of me, I’ll opt for “real” roads with the greenery set further back, more space, and more reflective markings. It’s easier to get into the right gears in good time if I can see where I’m going in the dark. And with better visibility, I can avoid having to check my speed constantly on the downhill stretches for fear of hitting an animal or a fallen branch or coming a cropper in a misjudged corner. Using the roads network typically also means that the directional signage is bigger, easier to read and harder to miss.